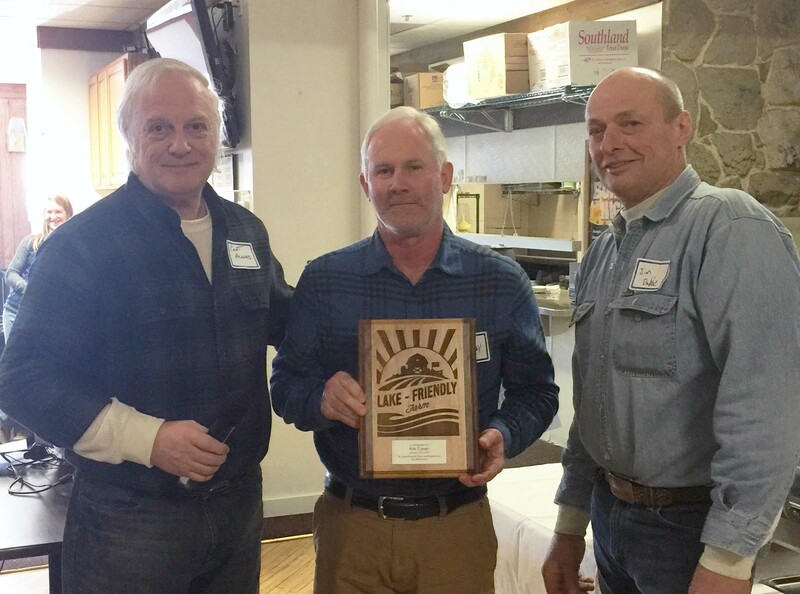 The Lake – Friendly Farm Program has been created to recognize the farmers that are doing an outstanding job of managing their farms in a way that protects the water resources in the Prior Lake-Spring Lake Watershed District. The program both identifies and publicly recognizes existing best management practices in the watershed and assists farmers in identifying areas for improvement to help protect our water resources. Publicly recognize and reward farmers who do an outstanding job of managing their farms in an economically and environmentally sound way that protects and improves water resources within the Prior Lake-Spring Lake Watershed District. Publicize and promote agricultural best management practices that help improve water quality while maintaining and improving agricultural viability of local farms. Increase public awareness of farmers’ voluntary contributions to resource protection. Create local partnerships to identify new projects and financial resource opportunities for the Lake-Friendly Farm Program and the Farmer-led Council. Provides public recognition to farmers who are implementing and maintaining good water quality practices. Improves water quality in streams while maintaining productive farmland. Promotes more efficient use of fertilizers and pesticides, benefiting all. Provides a healthier soil structure. Creates an avenue for increased local partnerships and marketing strategies. $5 per acre incentive once certified, up to $1,000 per farming operation. Over 40 people came out on the COLDEST DAY in recent history on January 30th, 2019 to help celebrate the accomplishments of two local farmers who have done an excellent job of doing their part to protect the water resources of the Prior Lake-Spring Lake Watershed District! A big THANK YOU to our two farming leaders who are truly paving the way for others and providing a great example of what to strive to. 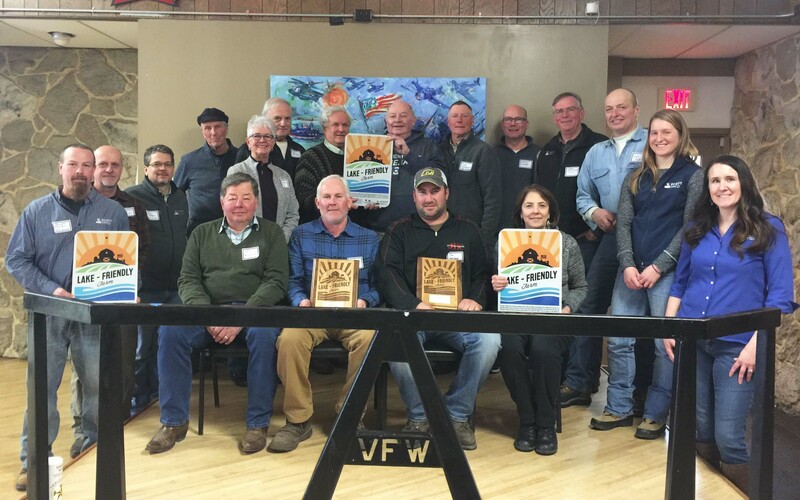 A big THANK YOU as well to all of those Farmer-Led Council members, local farmers, PLSLWD Board Managers & staff, Scott SWCD Supervisors & staff, Prior Lake City Council Members & Mayor Briggs, County Commissioner Dave Beer, Sand Creek Township Board, Spring Lake Township Board, CAC members, landowners, and others who helped us celebrate the accomplishments of two leading farmers. If you would like to sign up to participate, please contact Diann Korbel at Scott SWCD at (952) 492-5416 or dkorbel@co.scott.mn.us. Farms will be certified by Scott SWCD with approval by the Farmer-led Council. 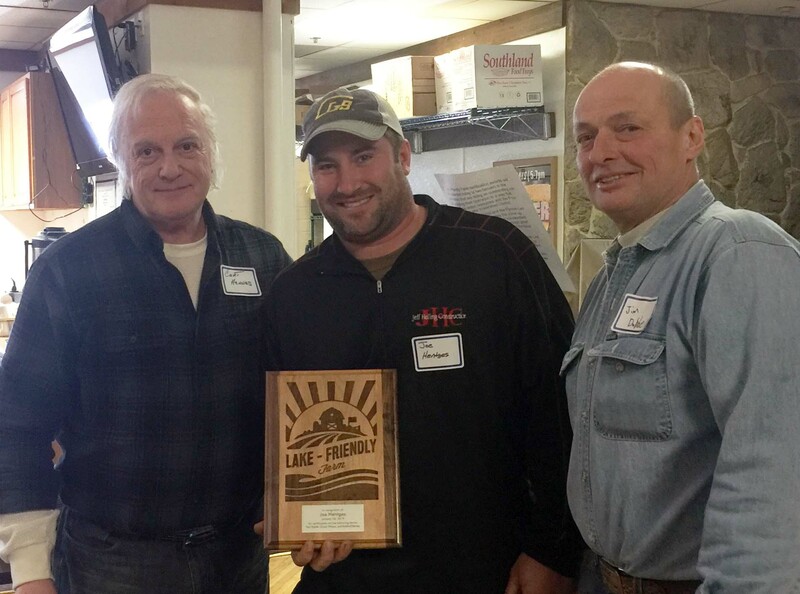 If the property does not meet the certification criteria, the SWCD conservation planner will work with the farmer and/or landowner to develop and implement a plan to become certified as a Lake-Friendly Farm. Click here for a program brochure.